and stay on until 2 AM. 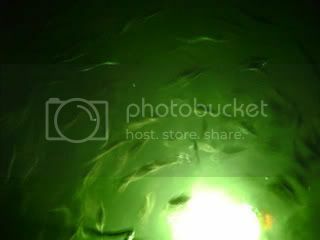 where hundreds of bait fish, perch and Bass around the light. back up the house and try and get you some good pictures. it further from the dock and into deeper water. It worked just as I had wished it would. Thank you, Matthew from Lakeside Tx for your two orders the 510 Led and 306 Led. 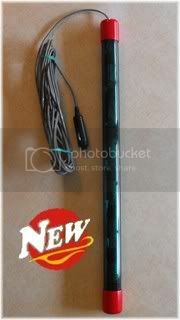 bobglen wrote: Thank you, Matthew from Lakeside Tx for your two orders the 510 Led and 306 Led. 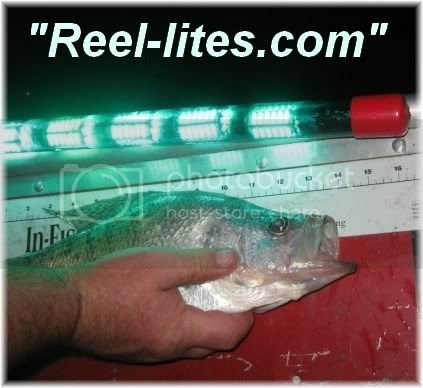 Reel-Lites.com. He makes them with LEDs instead of fluorescent. "Hey Bob, sent you a pm but your box is full. I just ordered the 510 After seeing how bright the 100 is I'm fixi'n to LIGHT UP THE NIGHT!!! Great product and a great guy to deal with... 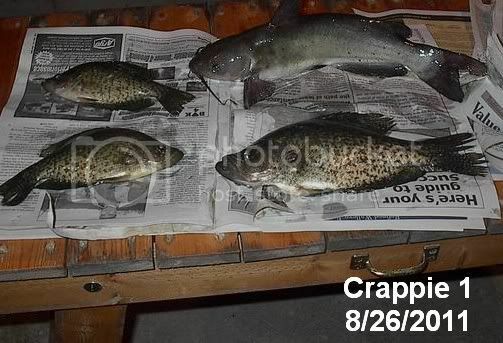 Thanks" ( Crappie 1 ) Larry.. Went to belews this evening to try out my new light from BobGlen on here. I know its early but I got the fever. Got set up and started catching little ones in 28 ft of water over brush. Caught a few more just under the 10 inch mark. Then finally about 9:00 a good hit. Thought it was a bass. This nice 13 incher. It seems like it has been hard year this year catching them. Learned a few things tonight to take back next time. Water temp was 81 degrees. Felt like bath water. Bob, my light came today(Wed) already. You sent it Mon. I went out to the boat and plugged it in, and I could not believe how bright that thing is. And to think I have the first 612 LED that you have produced. I'm leaving tomorrow for my trip to get married & fishing for a week or so. I already got the light packed and will let you know when I get back. I can't thank you enough for letting me "Water test" it. All I can say is-THANKS !!! (Crappie 1 ) Larry..
PS Anybody that fishes at night should have one of these lights. Bob will send you a high quality product-for a fair price-and you'll get it quick!! 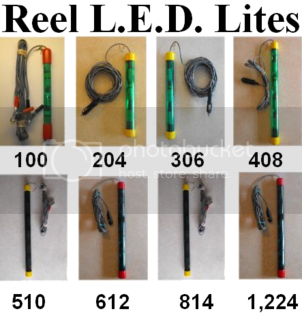 one we ordered from Reel-Lites.com. He makes them with LEDs instead of fluorescent. I sure love the light. It not only shines around where your fishing, but on the other side of the boat too. Can't believe how bright it is. laid the light beside me, I had all the light I needed to UN-bolt those guides. That light is really bright. I can't wait to get out night fishing with it. "Does everything you would want it to. waters I want to see what it will do in clear water! Putting together Reel Lites videos shared by friends. Also in two weeks there will be a fishing tournment featuring "Reel Lites"
Got these last night using a Reel Lite 612 green. Batteries were dead in the camera, so had to take the pictures when we got home. 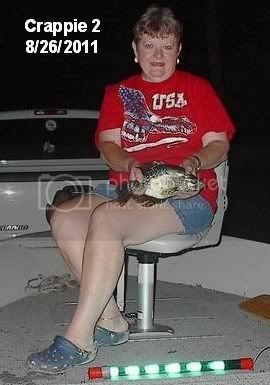 This is my wife of one month, (Crappie ll) she's holding a 13"er. Fish bit at dark, then nothing after, quit at 12am.